When Senaida met Naim, she knew pretty quickly that she had met someone who was one of a kind. A man who would be a lifelong best friend and partner…the man she wanted to marry! When Naim was ready to propose, he considered both their large Albanian families, and thrilled Senaida with a traditional Albanian proposal. With June 10, 2012 circled on the calendar, Senaida and Naim set about planning their wedding. 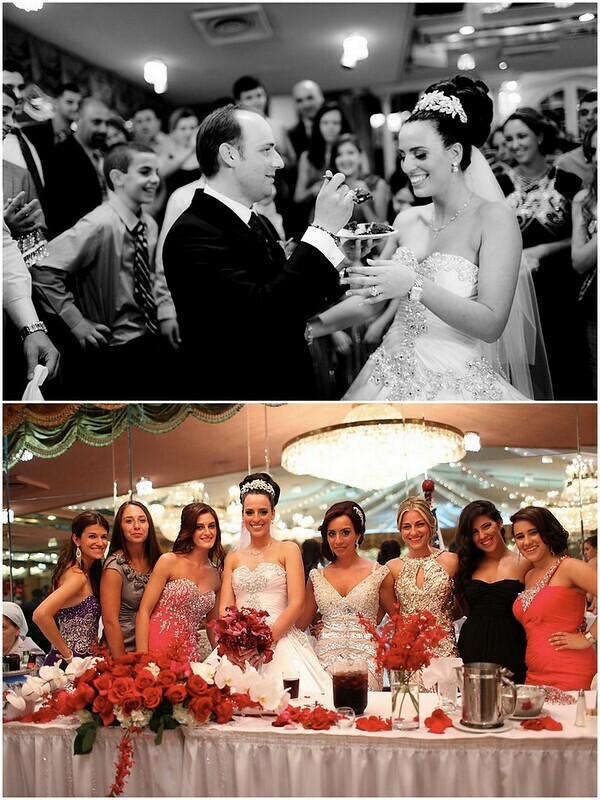 Envisioning a wedding that combined many traditional Albanian elements and classic wedding details, they had their work cut out for them…thank goodness for family and friends! 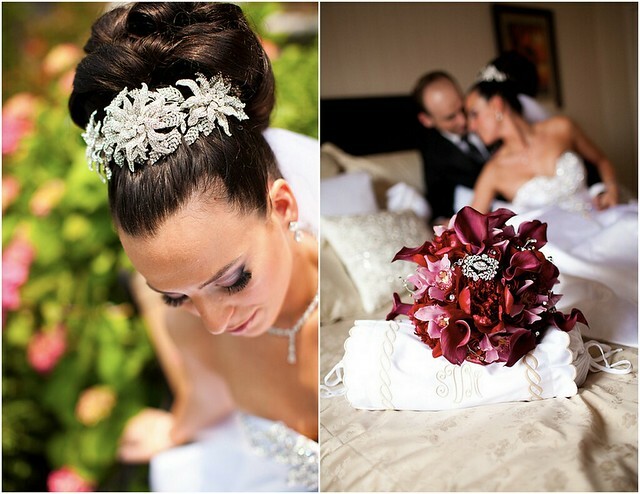 Right away, Senaida took care of the best things on her list of wedding to-do’s – finding her look! 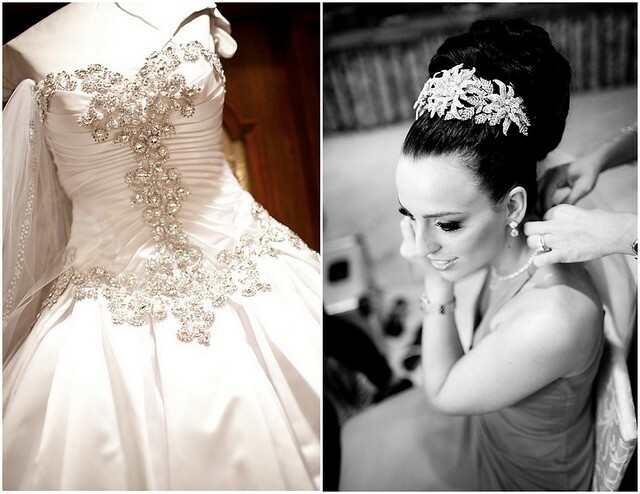 So Senaida headed to Bridal Styles to choose the bridal headpiece, jewelry and gown jewelry! For Senaida, when it came to wedding planning, taking care of the fun wedding planning tasks first ended up creating some challenges….though it was worth it! And the morning Senaida and Naim’s day arrived, they were more than ready! Surrounded by friends and family, Senaida and Naim’s day was everything they dreamed and hoped for. “When I saw my husband for the first time, I got butterflies. My stomach hasn’t flip-flopped like that in such a long time. I had a rush of emotions running through me, how much I loved him and how happy I was to finally spend the rest of my life with him. For Naim, seeing Senaida on their wedding day will be a memory he’ll always cherish…and smile about. 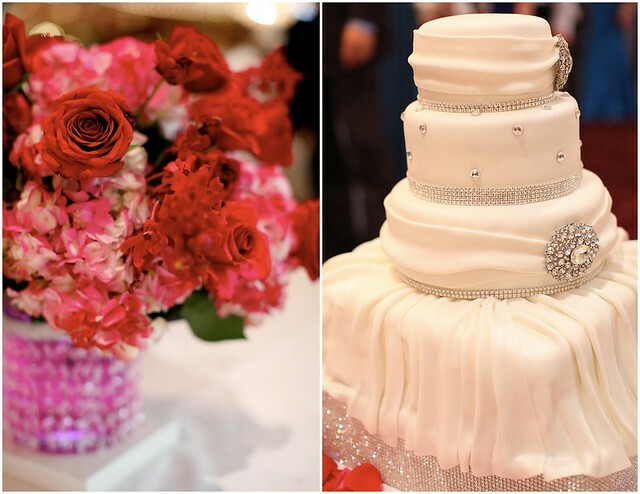 Thank you for sharing your day, Senaida and Naim…best wishes! Villa Barone Manor manager Massimo and the Villa Barone staff worked hard to making my day extra special. 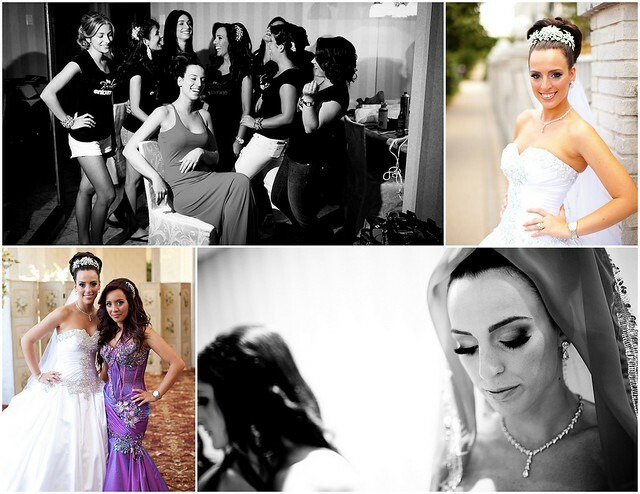 The AlbaPro team did an amazing job with photography and videography. 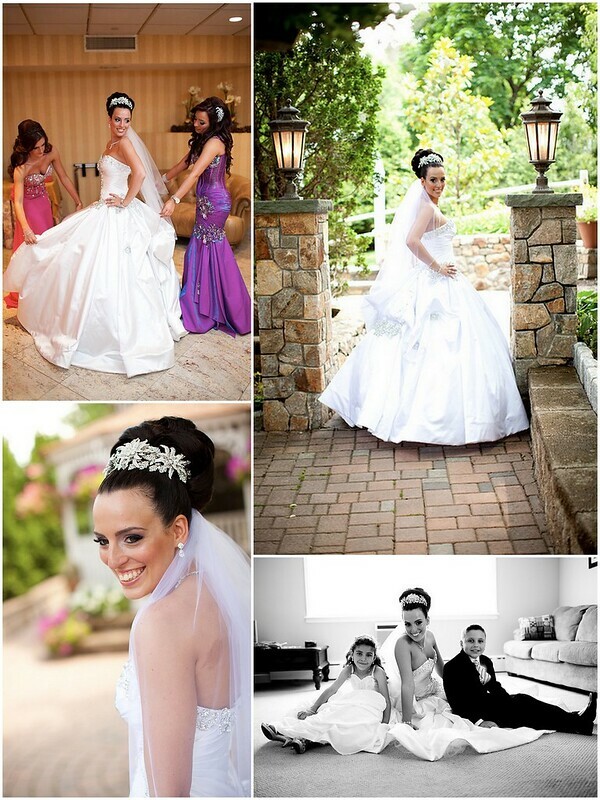 This entry was posted on Tuesday, August 7th, 2012 at 12:40 pm	and is filed under A Wedding Story. You can follow any responses to this entry through the RSS 2.0 feed. You can skip to the end and leave a response. Pinging is currently not allowed.